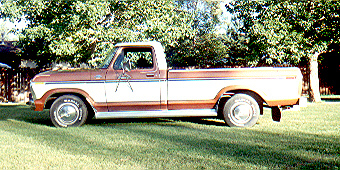 Here is a great, original 1970 Ford F250 Ranger XLT Camper Special. This is a nice '70 stepside. Lots of potential here!!! I really like the '72 Ford. They were very nice looking "modern era" trucks. 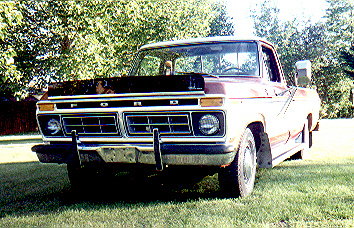 This is my baby... A 1977 Ford F150 Ranger XLT "Trailer Special". It sports a 460, PS, PB, air, cruise, automatic and has 62,000 original miles. That's me in 1995 with my baby. I often wonder why my ankles are turned inwards there? This is a pretty nice '78. 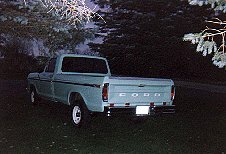 Shane from Minnesota sent me these pictures of his '78 Ford F150. I like the "Jade Green" colour of this one! If you would like more information about Shane's truck, check out his website. Okay, so a Bronco is not really a truck. 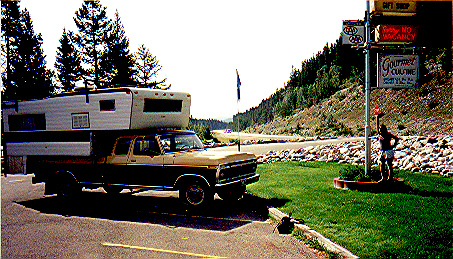 But hey, in 1978 there was no such thing as a "Sport Utility Vehical"!!! Although I like the '77 Ford better, the '79 isn't too bad. 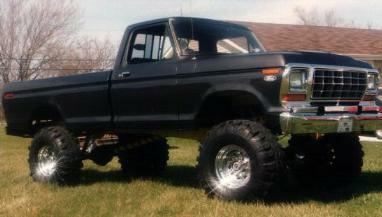 This is one mean looking '79!!! Black and grey... these colors look fantastic on this '79. 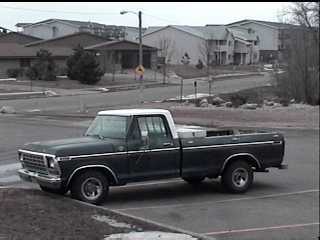 Here is a great looking 79 F100 4x4.